As we start to draw a close to the first quarter of school, I wanted to take the time to remind everyone that parent teacher conferences are right around the corner. These will be held on October 5th from 3:45-9:00. While many of are teachers are here the entire time, a few of them are only here part of the time. See the Conferences Map below for more details. While there are a number of avenues available for parents to keep track of student progress, a lot can be accomplished with a brief fate-to-face meeting with the teacher, student, and parent present. It is also a great time to see the changes and updates we have done at the middle school! Thursday- I'm a Jean-ius, I'm Alcohol Free! (Wear Jeans)! The 17th annual Trunk-or-Treat will be on October 28th! 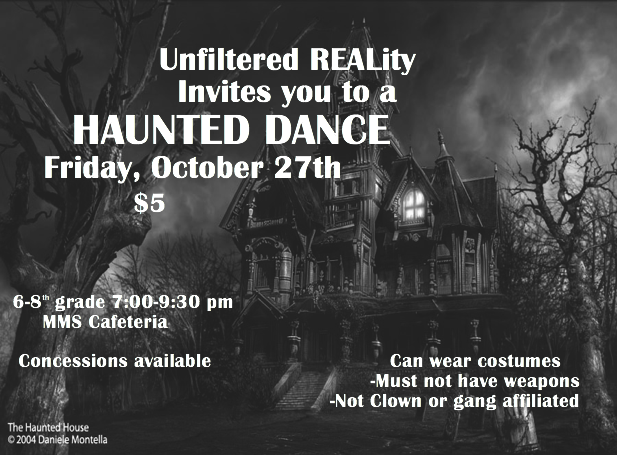 Don't Forget your costume and bring a bag for treats! Want more details? Call Traci Moore or Samantha Olson at 995-3051.